Technology is word which always changes during the interval of time, if something new tech introduce today maybe become old tech tomorrow and it happens to each and every tech products, today we are talking about Apple iPhone display which hasn’t received any significant bump from years. When iPhone was released in June, 2007 Apple’s iPhone was equipped with one of the largest display as compared to other manufacturers at that time as device has highest pixel density at that time, the original iPhone’s 3.5-inch has half-size video graphics array (HVGA) display, clocking in at 320 x 480 pixels rendered some of the most immersive graphics of the era in 165 pixels per inch (ppi). While in recent days Apple display may feel pretty old with technology as well as sharpness. While talking about older iPhone 3G and 3GS which also pack same HVGA display at same resolution, while other brand are tying to flourish their technology. While in 2010 everything has changed as Apple has introduced their most interesting display Technology Retinal Display which paced highest pixel density as it feature around 300 ppi. Apple made display so crystal clear you can feel text so really and details are really amazing. As human retina can differentiate the pixel something around 10 to 12 inches away from their eyes. Jobs said while unveiling the iPhone 4, which maintained the 3.5-inch size of its predecessors, while doubling the HVGA resolution to an unconventional, but nevertheless pixel dense, 640 x 960 (or 330 ppi). The iPhone 4s, released in October of that year, featured the same. As Retinal Display become Apple Trademark and they also introduce Retinal Display technology into other devices like iPod touch, iPad, MacBook and iMac. While Android devices companies also trying to bring more to display technology to compete with Apple as Samsung releases Galaxy Note N7000, released just a month prior to the iPhone 4s), as it has 285 ppi having 5.37-inch display with 800 x 1280 resolution with AMOLED Panel display looks more vibrant and amazing. Apple also level up their display size from iPhone 5 with 4-inch Display featuring 326 ppi so display become crystal sharp. While device has resolution around 640 x 1130 so it can maintain 326 ppi. While after two year in 2014 Apple made display size little bit more bigger with iPhone 6 and iPhone 6 Plus with 4.7-inch and 5.5-inch display respectively. As these display still standard for Apple for recent device iPhone 7 and 7 Plus as it expected that Apple may bring same display size in their upcoming iPhone 7s and 7s Plus. While Pixel density of iPhone 6 is 326 ppi same as iPhone 5 while iPhone 6 Plus has 401 ppi which is pretty standard as compared with other brands. While Companies like Samsung, LG has increase the display above standard with their full size display which has above 500 ppi so pixel more amazing and content feel really immersive. While Sony also raises the bar far beyond imagination bringing 4k display to smartphone with Xperia Z5 Premium, you can feel each content more better than ever. While Apple focused their attention over display technology like True Tone Display, Wide Color Gamut and Lower power consumption display but all these technology won’t enough when we talk about pixel of the device. Apple is still using LCD display for their display panel while other brands switch over AMOLED or OLED display according to their preference and they also perform more better than Apple’s display. Apple is still developing Interferometric Modulator Display (IMOD) technology in their top secret Display Lap in Taiwan since 2015, As Apple also switching their Display Panel to OLED to give competitor edge to edge in their grounds. New OLED display have many easier feature you could expect with previous Apple devices like Retinal Display, True Tone Display, Power Efficient Display and More. While new most beloved technology ProMotion may also come in Apple recent iPhone as it help display to reach 120Hz Refresh Rate which is liked by many tech lover as Apple Introduce this feature in recent iPad Pro 10.5-inch and iPad Pro 12.9-inch 2nd Gen. So these technology are sound really amazing if they come in recent iPhone these will surely made 10th Anniversary iPhone better than ever. 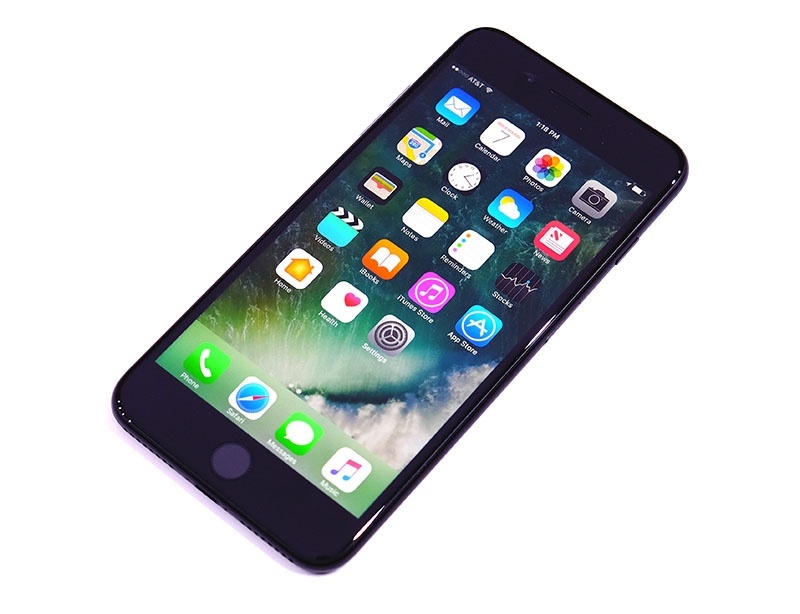 New iPhone will feature a 5.8-inch gigantic display with same form factor of iPhone 7 Plus, New Device will feature new OLED display manufactured by Samsung and various other companies. While it is expected that new iPhone 8 will feature 550 ppi and above with 1440 x 2860 resolution so display will look more amazing than ever. According to report from Supply chains Apple has order over 160 million OLED panel from manufacturers this create shortage for OLEd for other brands. Apple is using OLED display only in their Watch and MacBook Pro Touch Bar. But it is expected that other device like iPad, MacBook and iMac may receive OLED display after iPhone 8. So hope new iPhone will feature some great features we have ever seen until then Good Bye.